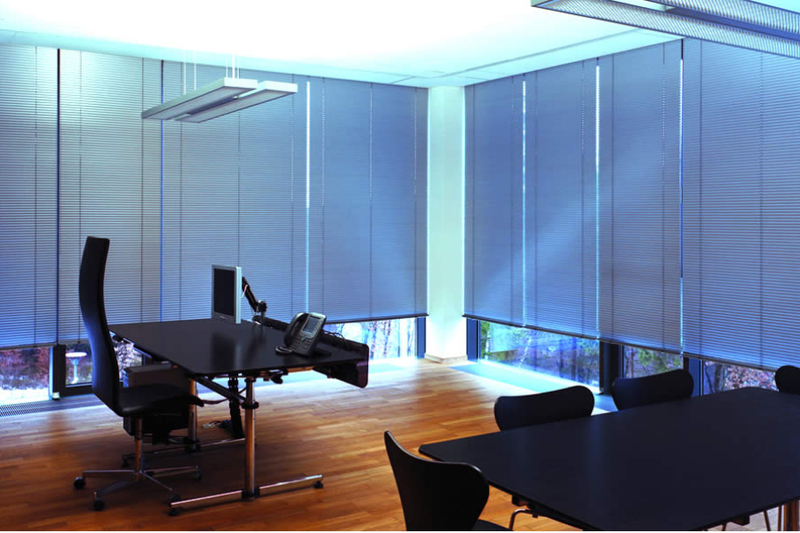 Do You Need Total Privacy, Total Light Control, & Exceptional Beauty In Your Offices? 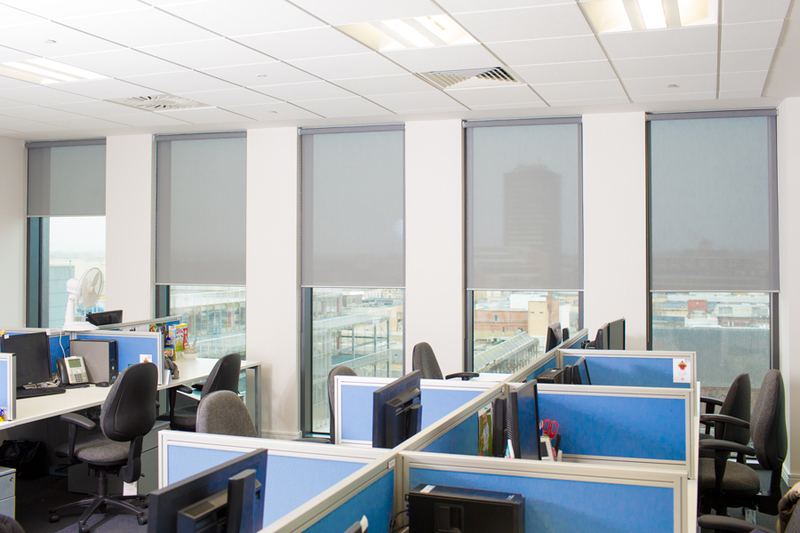 Get Exactly What You Need At An Affordable Price—Get Commercial Roller Shades. 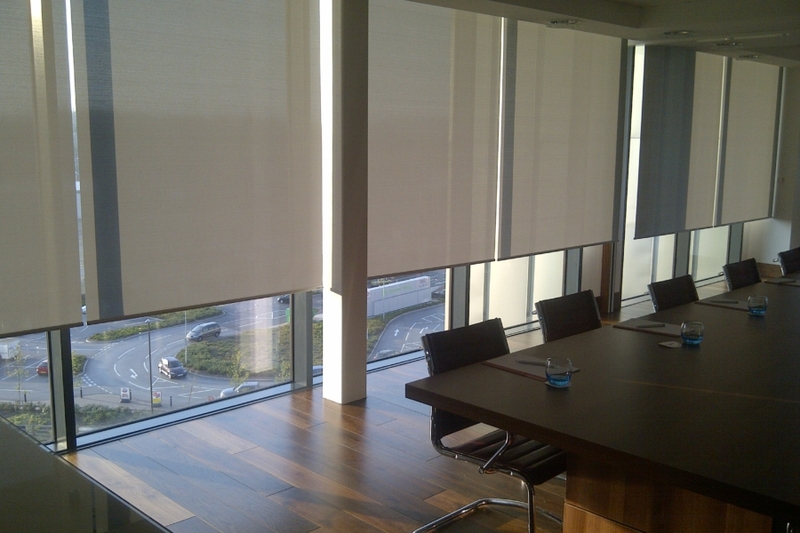 Commercial Roller shades are a simple and easy to use design providing almost unlimited options. Roller shades can be custom made from 12 inches to 115 inches wide and 12 inches to 120 inches high. With over 250 patterns, colors, and designs we are confident that we can custom build a roller shade to meet any of your design needs. Our roller shades can be equipped with a top treatment that can conceal the fabric roll and clutch giving you a clean, crisp look. These covers can easily be made to match your roller shade color or complement it. We also offer a number of bottom treatment options to further create a unique design. You literally have hundreds of fabric choices available to you to match any décor. Plus you have several control and size options. Virtually every one of our shade products filters out at least 75% of the sun’s harmfulUV rays when installed over double-glazed glass windows.